The family of a toddler killed during the filming of a rap video is speaking out. Jodi Hernandez reports. Two suspected shooters in the killing of a 23-month-old baby in Oakland pleaded guilty in the case Wednesday. 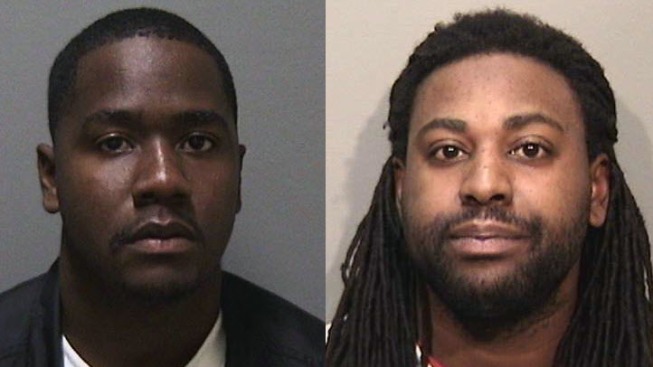 Houston Nathaniel, 28, and Dionte Houff, 35, admitted in court to shooting at a crowd in West Oakland nearly six years ago because they thought it was a group from a rival gang. "They killed my son," said Brittany Houston, the mother of Baby Hiram. The baby was shot and killed when prosecutors said a group of ACORN gang members opened fire on what they thought was a group from a rival gang, shooting a rap video in a West Oakland parking lot. "My son didn't know anything about ACORN, Lower Bottoms, nothing," Houston said. Nathaniel and Houff admitted they shot at the crowd because they thought the video would disrespect their gang. In exchange, the prosecutor agreed to recommend a 38- to 43-year sentence for the men. "Why are they getting a second chance?" said Roslynn Gilder, Baby Hiram's aunt. "My nephew didn't get a second chance." Houston and her family are outraged, with relatives pleading with the judge not to accept the deal. Nathaniel told the court he is terribly sorry for what happened while Houff called his participation in the shooting unfortunate. The baby's family does not buy it. "They will never feel how I feel, and I can honestly say they don't care how I feel," Houston said.